Here are some of the grow-out results from 2017. 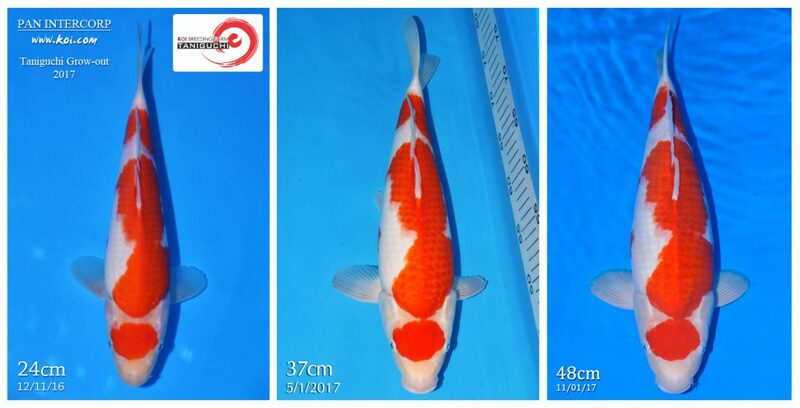 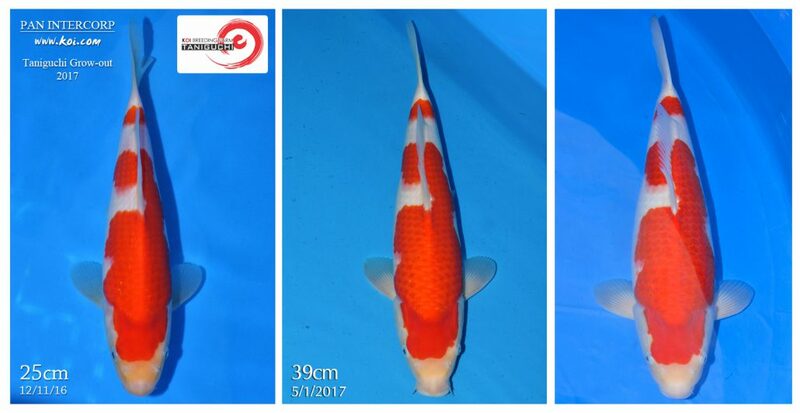 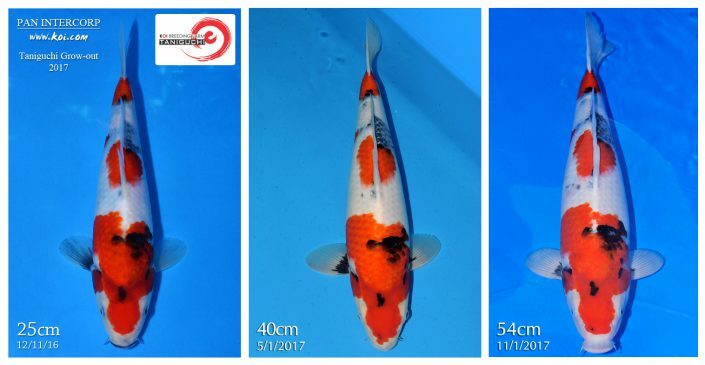 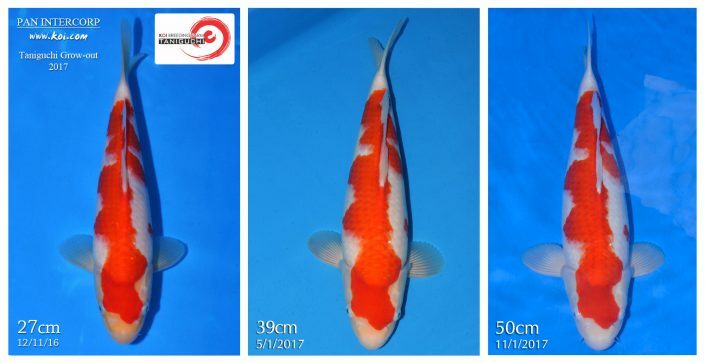 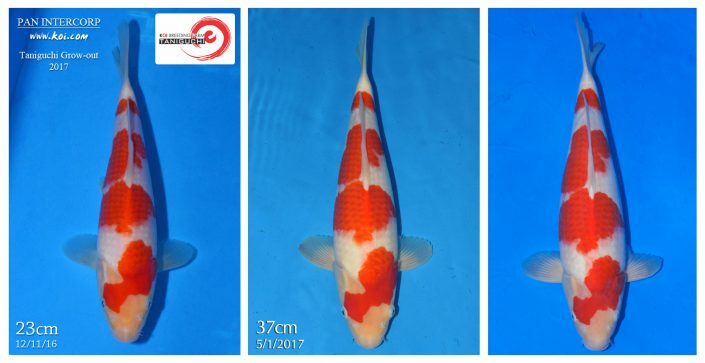 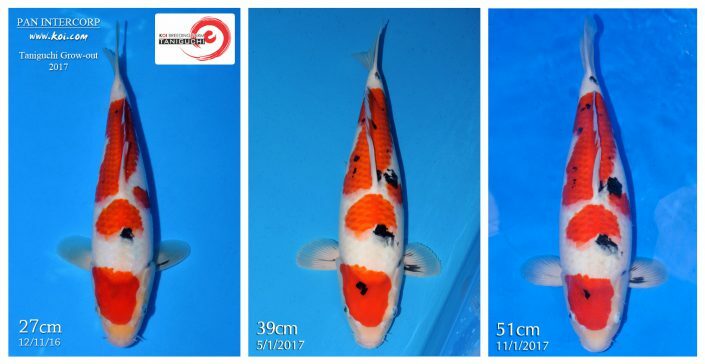 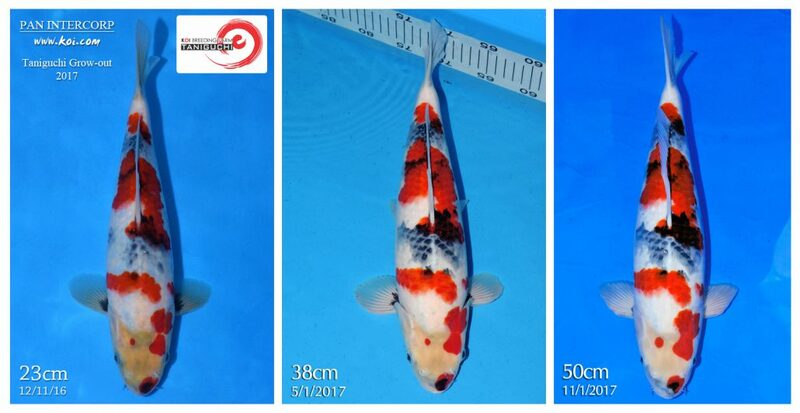 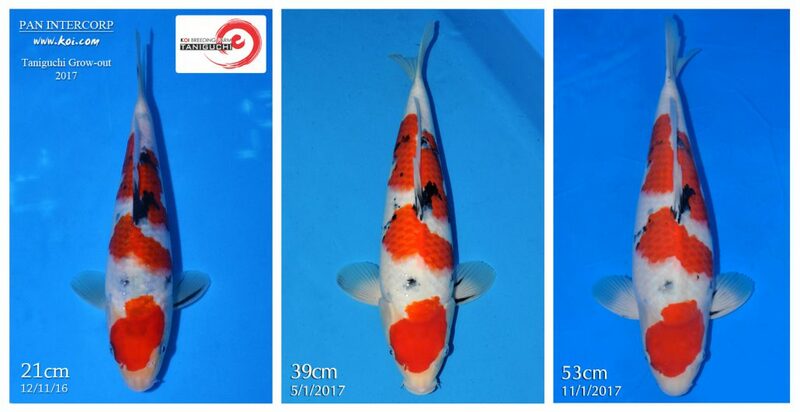 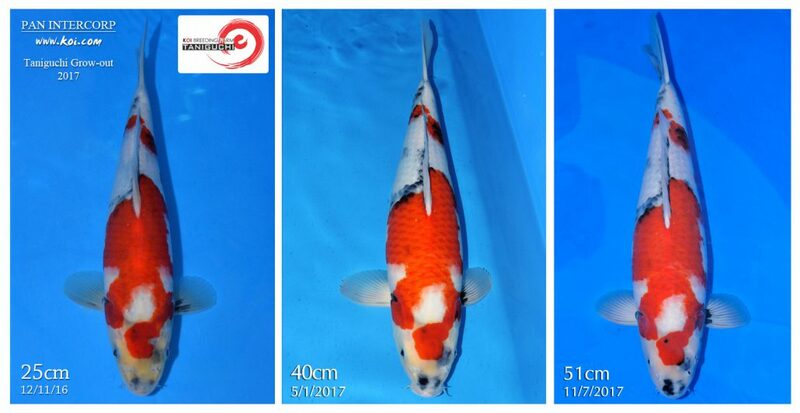 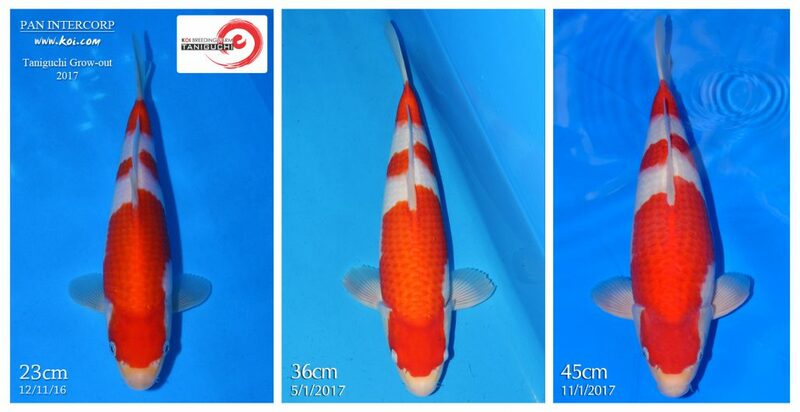 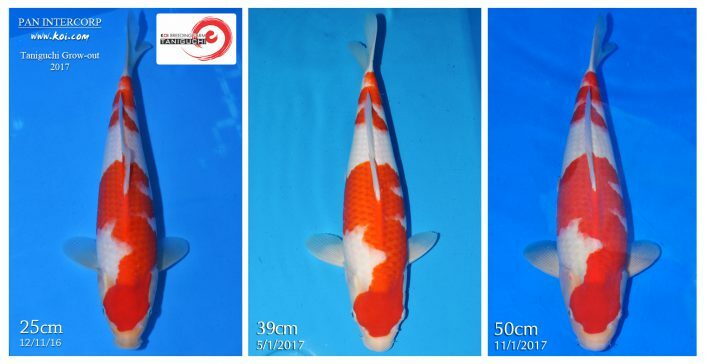 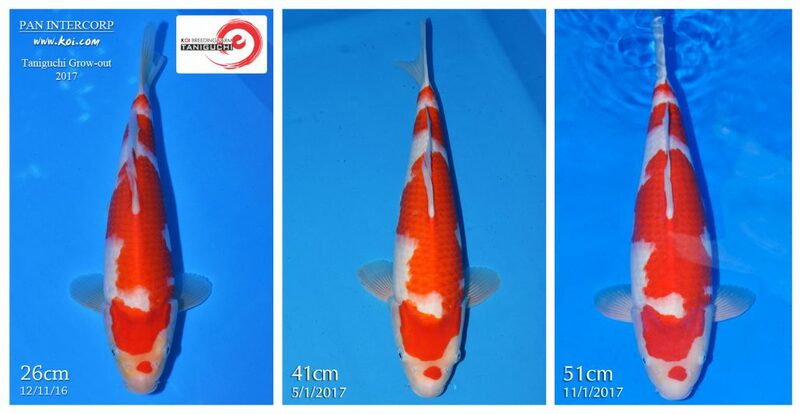 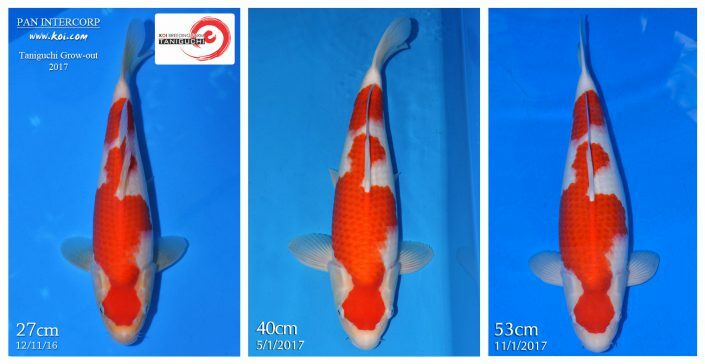 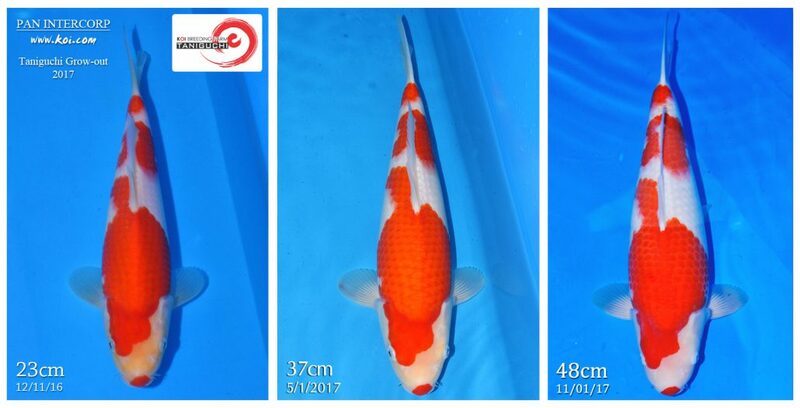 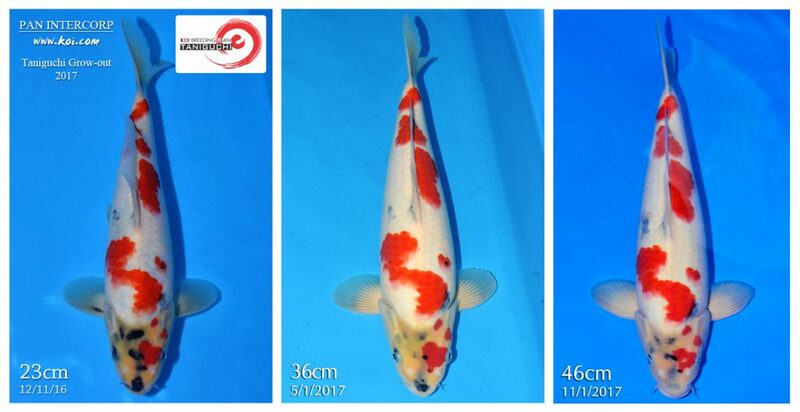 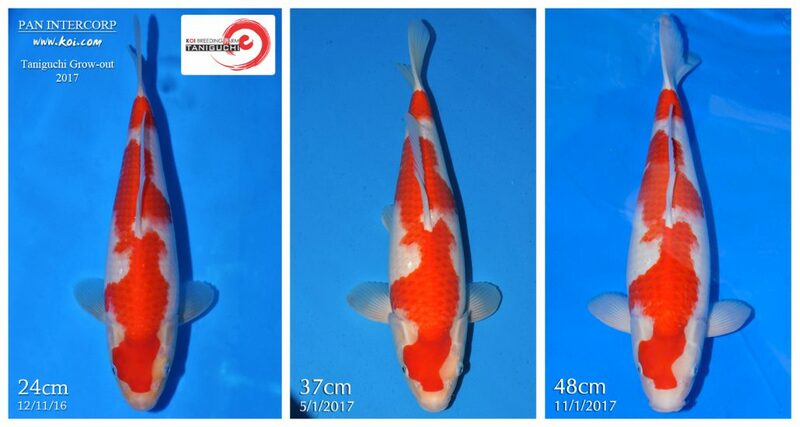 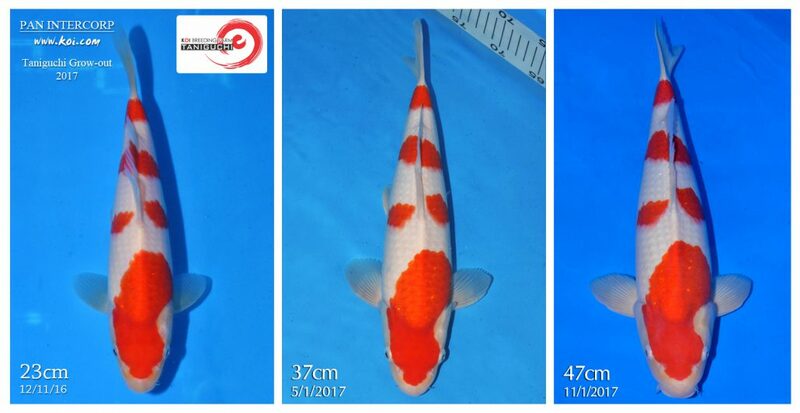 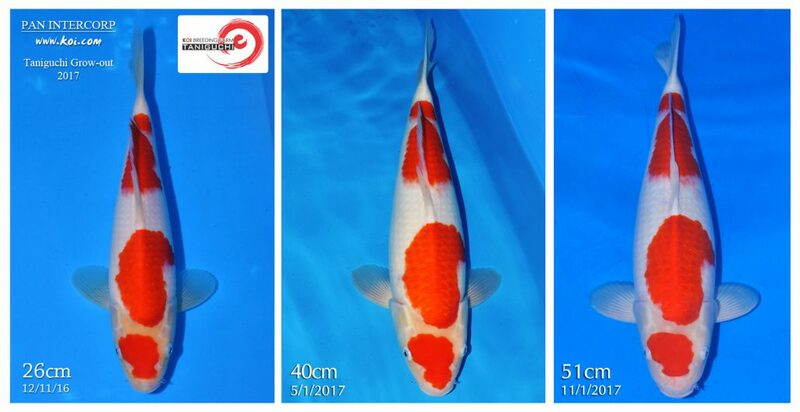 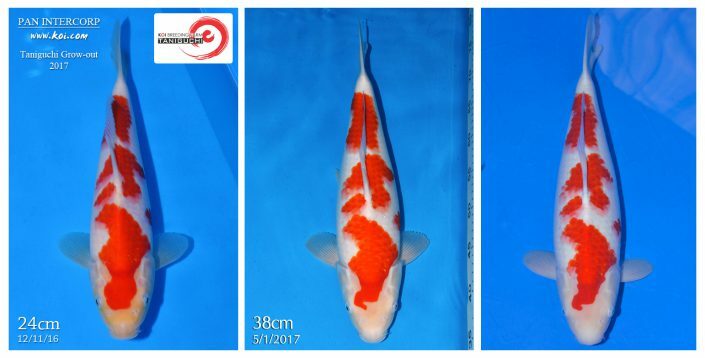 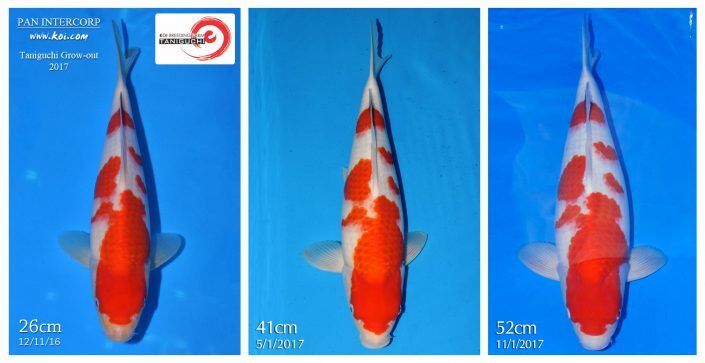 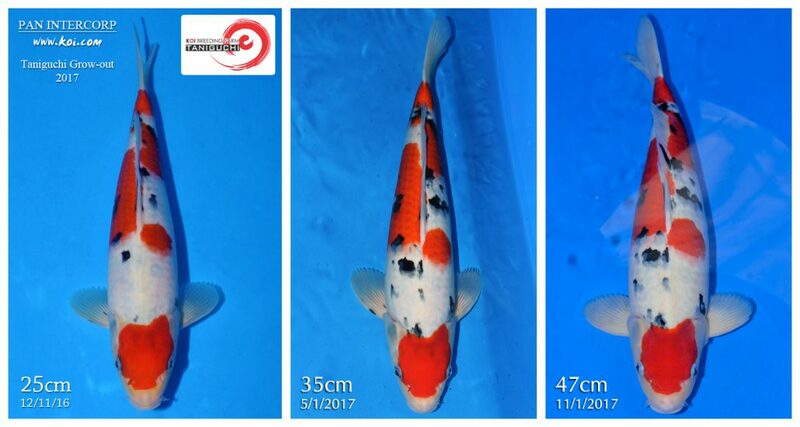 These photos chronicle the development of the koi from when they were purchased as Tosai at 20cm to 55cm+ Nisai just one year later. The first photo in the sequence is how the koi looked at the time of purchase (December 2016). 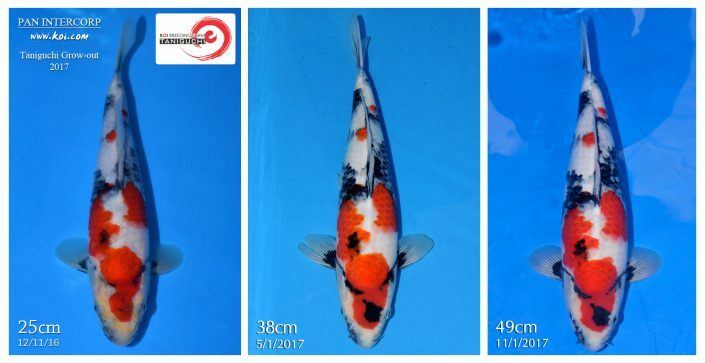 The second photo in the sequence is how the koi looked after its winter boarding in Taniguchi’s warm greenhouse ponds (May 2017). 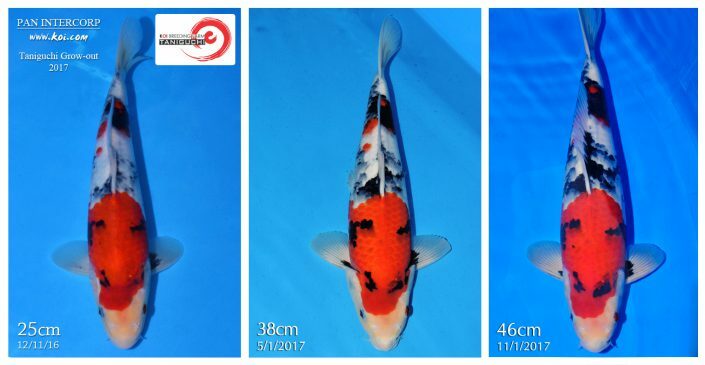 The third photo in the sequence is how the koi looked after summer boarding in Taniguchi’s mud ponds (November 2017). Amazing growth and development over a one year period!